Restoration of cropland (termed ‘Farm’) after abandonment including shrubs (termed ‘Shrub’), trees (termed ‘Tree’) and natural grassland (termed ‘Grass’) has become a routine process aimed to improve land productivity and control desertification. 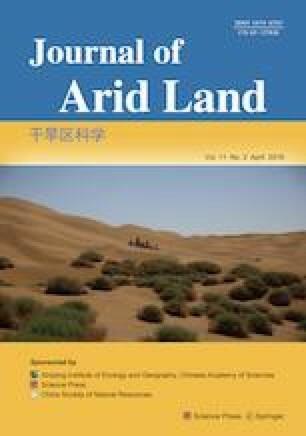 During this restoration process, soil macro-faunal diversity, and trophic structure were investigated at four types of sites (Farm, Shrub, Tree, and Grass) during growing season in the semi-arid agro-pasture zone of northern China. Results indicated that the Staphylinidae family was found to dominate at the Grass, Shrub, and Tree sites, whiles larval Pyralidae individuals were found at the Grass site only. The density of the omnivores (i.e., Formicidae family) was significantly (P<0.05) greater at the Grass site than at the Tree and Farm sites. The total density and richness of predator and phytophages were found to be markedly (P<0.05) greater at the Grass site than at the Farm site. Meanwhile, we found the taxon richness of predators was significantly (P<0.05) higher at the Shrub site than at the Farm and Tree sites. Compared with the Farm and afforested Shrub/Tree sites, the Grass site had greater density, taxon richness, and Shannon index (P<0.05). In conclusion, natural restoration of abandoned croplands toward grassland was an effective strategy relative to artificial afforestation for improvement of soil biological diversity. Moreover, planting shrub is a preferable measure in abandoned croplands for land development in the semi-arid agro-pasture zone of northern China. This research was supported by the National Natural Science Foundation of China (41661054; 41867005), Project for Top Young Talent Candidates of Ningxia (RQ0010), Science Research Foundation of Ningxia Higher Education (NGY2018007), Ningxia Natural Science Foundation (2018AAC02004), Specialized Foundation for Fundamental Condition Construction in Ningxia Science and Technology (2018DPC05021), and the Project of First-Class University of Western China for Key Laboratory of Ningxia University (NXYLXK2017B06, GZXM2017001). Many thanks are given to the Naiman Desertification Research Station, Chinese Academy of Sciences. We also thank two anonymous reviewers and editors for their valuable comments on the manuscript.